Protestors in the city of Halifax recently rallied together against what they feel are racially-charged street checks. On Saturday, more than 100 residents of the Canadian town gathered together to march across the streets of Halifax, in the name of justice. Some of the protestors could be heard yelling, “No justice, no peace, no racist police” during a protest against street checks. The story comes in after CBC News reported that Halifax-area police found Black people were six times more likely to be racially profiled on the street than White people. Protestor and long-time Halifax resident Connor Smithers-Mapp says that he’s been stopped by police at least eight times. “Ironically, most of those occurrences were when I was practicing with Nova Scotia Legal Aid, and I would be at the courthouse speaking with a client and members of HPD would come up and ask us who we were and what we were doing,” Smithers-Mapp told the news outlet. He also assures that he has no problem with proper investigative techniques, but felt that “arbitrarily asking people who they are and what they’re doing, other than being illegal,” was a waste of police resources. While gathered outside of one of the city’s public libraries, DeRico Symonds, one of the march’s organizers, presented a slideshow. The slideshow reported that between 2006 and 2017, 2,195 black males were charged with at least one criminal offense. “This is equivalent to one-third (32.3%) of the entire black male population of the Halifax region,” Symond’s report noted. 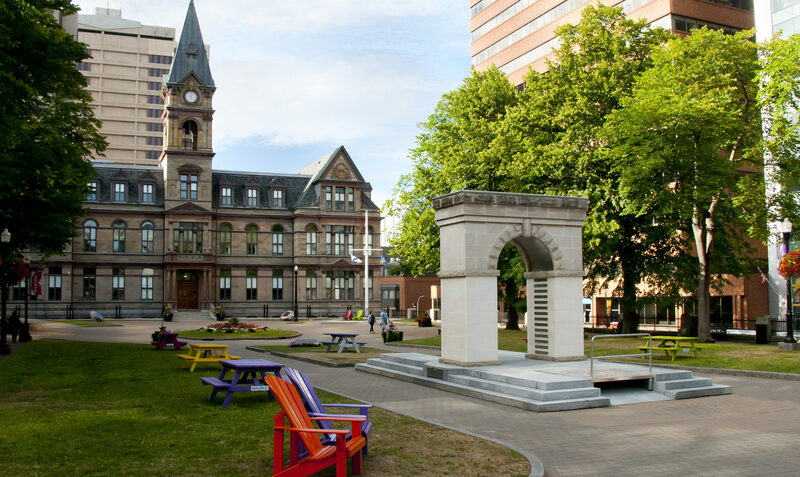 City Councillor of Halifax Lindell Smith applauded residents for their persistence in addressing the issue, while also sympathizing with supporters through his own experiences. Despite the temporary shut down of some downtown Halifax streets, police reported that the protests were primarily peaceful. “Police encountered no issues with the protestors. We would like to thank all members of the public for their assistance and patience during this period of traffic interruption,” police said in a news release to CBC.